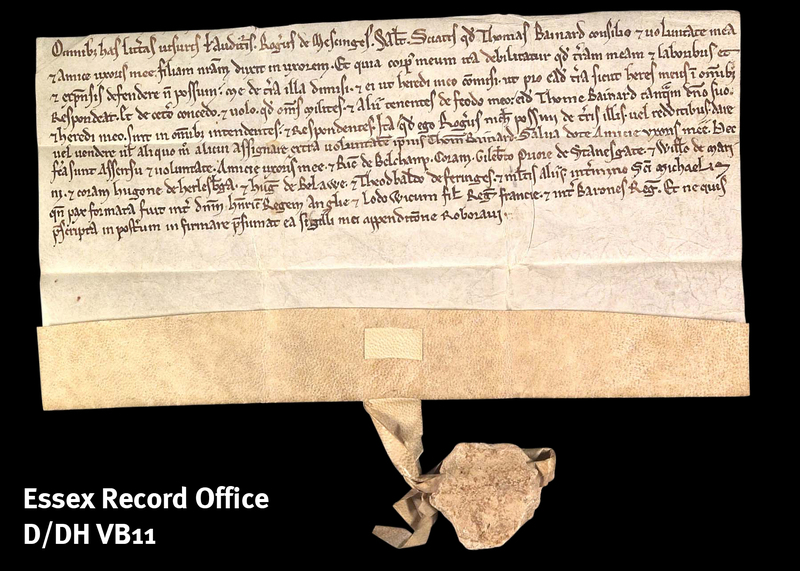 In our final blog post in the run up to Magna Carta: Essex Connections on Saturday 23 May, we look at a document that is something of a post-script to our recent Magna Carta, but it is an interesting medieval document we wanted to share. The document is a grant made by Roger de Mescinges [Messing] of all his lands, knights and other tenements of his fee to his son-in-law Thomas Bainard (D/DH VB11). There are two key features which make it particularly interesting: first, it is possible to give this a definite date, which is unusual in medieval deeds, and second, it gives us an insight into the mindset of a landowner during the unrest following the granting of the Magna Carta in 1215. Its date can be narrowed down very precisely, because of the reference it makes to the Treaty of Lambeth, which was agreed on 11 September 1217 between the rebel barons, the new King Henry III, and Prince Louis of France, who agreed to give up his claim to the English crown. After listing the witnesses, this deed states that it was made in the time ‘when peace was made between the lord Henry, King of England and Louis son of the King of France and between the barons of the king’. It’s also interesting to read that Roger de Mescinges was giving his land to his son-in-law because his own body was ‘so debilitated’ that it was not possible for him to defend his land, labourers and possessions. Land and with it wealth and possessions were held by those able to physically defend it. After nearly three years of civil war, with a great deal of fighting taking place in Essex, Roger de Mescinges had decided that a younger man was needed to defend his land. Find out more about Essex connections with the Magna Carta with us on Saturday 23 May. In almost our last blog post in the run up to Magna Carta: Essex Connections on Saturday 23 May, we take a look at some of the fighting that occurred in the county as a result of the unrest between King John and the rebel barons in 1215. Within a few weeks of King John’s meeting with the barons at Runnymede on 19 June 1215 it was evident that Magna Carta had not brought peace. The king started to recruit mercenaries from overseas and the barons in turn refused to surrender London. The whole land was covered with these limbs of the devil like locusts, who assembled to blot out every thing from the face of the earth: for, running about with drawn swords and knives, they ransacked towns, houses, cemeteries, and churches, robbing everyone, sparing neither women nor children. The other part of the forces under Savary de Mauléon (one of the king’s mercenaries) and the Earl of Salisbury (John’s half-brother) headed into Essex. The chronicler Ralph of Coggeshall described the effect of the royal forces in the county. By Christmas Eve they were besieging Geoffrey de Mandeville’s castle at Pleshey and from there the royal forces were laying the surrounding countryside to waste, demanding money and men and burning houses, destroying parks and cutting down trees. On Christmas Day 1215 one of these raiding parties broke into Tilty Abbey during mass, destroying furnishings and breaking open the cellars and carrying away items stored there which had been deposited by merchants. 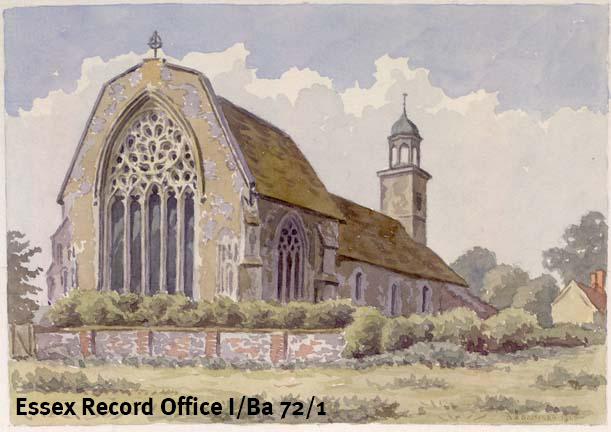 A week later on 1 January Ralph of Coggeshall described how they broke into his own abbey at Coggeshall, and stole 22 horses belonging to the bishop of London, the treasurer, the monks and others. Savary de Mauléon went on to besiege Colchester Castle in January 1216, retreating to Bury St. Edmunds when he heard that the barons were heading towards Colchester. 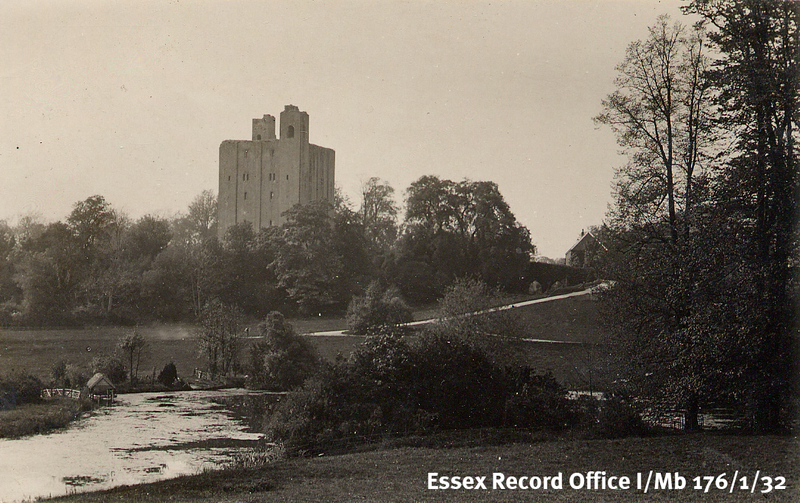 Following the conclusion of the king’s campaign in the north, he headed south to Essex. By the end of March both Colchester and Hedingham Castles had surrendered to the king. In May 1216 Prince Louis landed in England with a larger French force. In the next few months, three forces ranged through Essex – the army of the king, the barons’ forces led by William de Mandeville, Earl of Essex (brother of the recently dead Geoffrey de Mandeville), Robert FitzWalter and William de Huntingfield (another Magna Carta baron) and a mostly French force, supporting the barons. On 19 October 1216 King John died at Newark. His eldest son Henry III (aged 9) was crowned at Gloucester Cathedral as the barons and Prince Louis still controlled London. The regent for the king was a much respected baron William Marshal, Earl of Pembroke. Marshal gradually persuaded many of the barons to support the king. In May 1217 the remaining barons were defeated at the Battle of Lincoln, with many being captured, including Robert FitzWalter, Richard de Mountfitchet and Gilbert de Clare. On 11 September 1217 the Treaty of Lambeth was agreed, with Prince Louis agreeing to give up his claim to the English crown. As well as settling with the French, the treaty made peace with the barons; Richard de Mountfitchet, for example, not only regained his lands, but also his custody of the forest of Essex.